On a plot of approx. 15.000 m² we are planning the construction of a representative detached house with pool. The living space is 400 m². 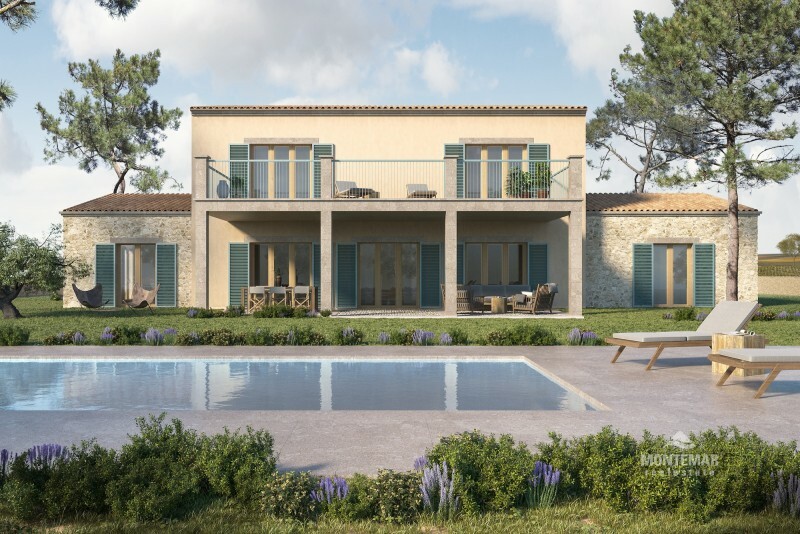 The plot is not far from the city centre of Santanyi and offers a picturesque view of the silhouette of the village with its striking cathedral. On the ground floor there is a spacious and light-flooded living and dining area with a well-equipped kitchen. Three bedrooms, each with its own en-suite bathroom and guest toilet are also planned. In the upper floor are two further bedrooms with likewise own bath en suite. The finca will be built to a high standard. 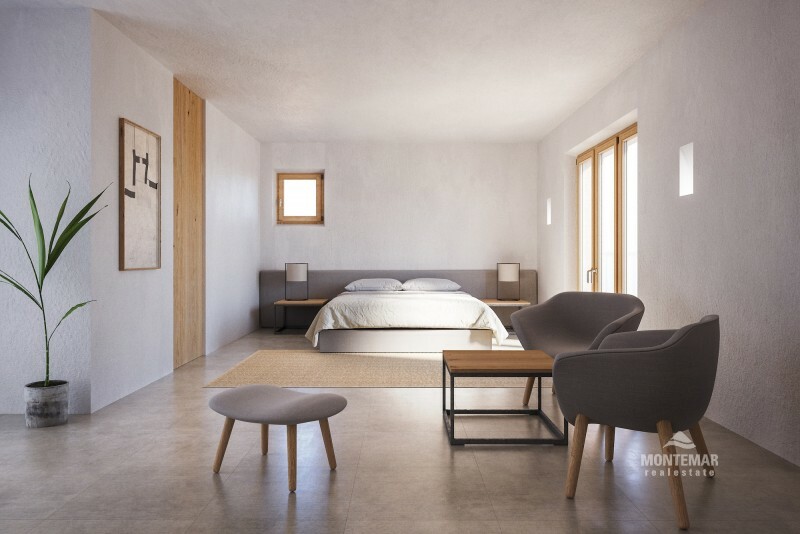 Moisture and heat insulation paired with a high-quality building technology, such as floor heating, air conditioning, Sonos music system and much more guarantee that the finca can be inhabited throughout the year. The interior fittings also meet a high standard and can be adapted to your wishes. Construction will start in winter 2019. 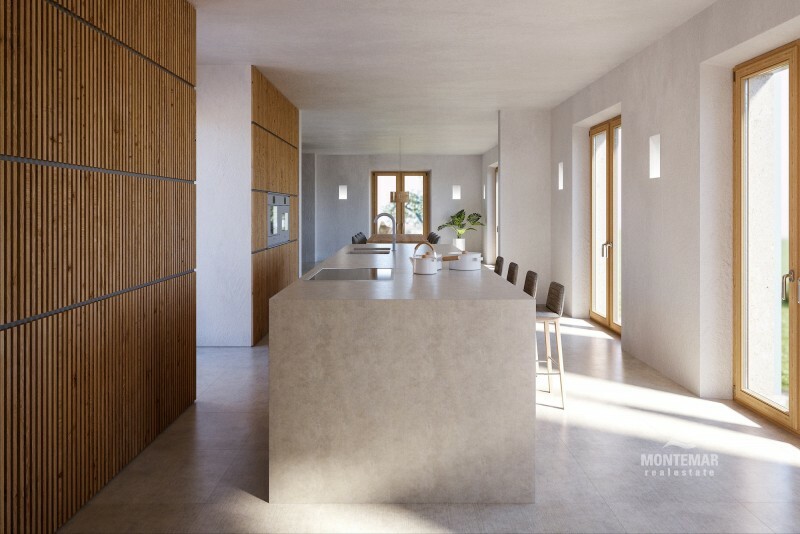 Alternatively, the property can also be purchased with an approved project at a price of 890.000 euros. The finca is situated in a quiet, rural environment, close to the authentic Majorcan village of Santanyi. The town is known for its colourful market days and offers a wide range of shopping options as well as excellent restaurants, cafes and bars. A variety of bays and beaches are within a few minutes drive, as well as the exclusive marina of Cala d'Or or the golf club of Vall d'Or which offers a fantastic view of the Mediterranean Sea.